Change in meeting times/locations are posted at the Jefferson County Emergency Management/LEPC Offices on the first floor of the downtown courthouse located in Beaumont. The public is invited and encouraged to attend these meetings. 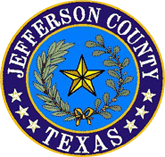 Request for open records information should be in written form directed to the Jefferson County, Texas LEPC.